If your spouse, parent or child has been killed and you suspect that their death was the unnecessary consequence of someone else’s negligence or a crime, you should always consult a Wrongful Death attorney to look into the circumstances as soon as possible. Krasney Law, practicing all over California, has expert attorneys and staff to pursue justice in case of a wrongful death. A wrongful death claim can result from situations such as a car or airplane crash, exposure to hazardous conditions or substances, criminal behavior, or a supervised activity. At Krasney Law, we know how to proceed in any wrongful death situation and have been serving clients for years. The actions of a careless or criminal individual or corporation can have devastating consequences in your life. We understand that you are grieving, but you need to be aware of how important it is that the you give us the opportunity to start investigating as soon as possible. Time is of the essence in wrongful death cases. Important evidence and other important information need to be collected and examined as soon as possible. Many insurance companies try to pay as little as possible, even less than what you have coming. Also, some survivors of wrongful death may need to file a lawsuit to get the insurance company to pay. 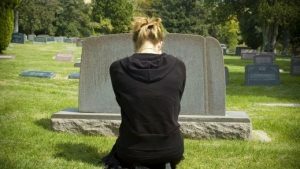 Krasney Law’s expert attorneys and staff can investigate the circumstances of a wrongful death and file suit for maximum damages to see that our clients get what they need to recover loss of income from the victim who died, and compensate them for the emotionally devastating loss of a loved one. Or, we can negotiate with the insurance company to get you a fair settlement for your loss. Contact us today to start the conversation. Notify your insurance company that you have lost a loved one. Also, get a copy of the police report. 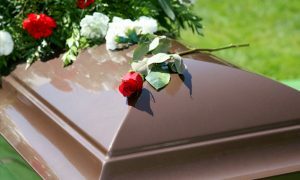 The next thing you should do is retain the legal counsel of a knowledgeable California wrongful death attorney. A Krasney Law attorney will ask you questions to find out how the accident or crime that resulted in your loved one’s death happened, the location and what the victim was doing there. If you have access to witnesses, newspaper articles or accident reports, gather them and provide them to the attorney. If you encounter someone at the scene who was somehow at fault in the event that killed your close relative,, be cooperative and courteous, but do not apologize or admit to any guilt. If you do you may be conceding they are not liable. Talk only to your lawyer and your own insurance company about the case. If the other party’s insurance company calls you, refer them to your lawyer or your own insurance company. Don’t speak with the other side’s insurance company without first calling our office. Please keep in mind, the insurance company will want to take a recorded statement to protect themselves, not you. They represent the party that killed your loved one, and they are trying to reduce their financial liability. Don’t give a recorded statement to anyone, especially insurance companies. They will use your own words against you later on in the case. If your loved one survived for a while after the incident, make sure to record his visits to doctors and other medical practitioners, the drugs and treatments they prescribed and what you spent on them. Pain and suffering are harder to quantify and qualify, but take notes on how you feel mentally because of the impact of the wrongful death. Also write down how your finances were affected by the loss of a wage earner. If the deceased was a spouse, take notes on how his or her absence affects you. If it was a child who died, the pain from their loss also can be compensated. Negligence comes in two forms: when the party failed to do something that would have prevented the death, or when they did something criminal or neglectful that they should not have done. California law requires property owners and individuals to be careful, and they may be considered negligent when they fail to act carefully. 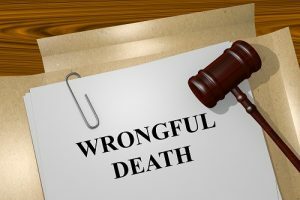 A person bringing a wrongful death lawsuit must prove his relative was killed because of the defendant’s actions or inaction. To get a free evaluation of your case, speak with an attorney who understands the complexities of wrongful death claims. We have been winning big awards for our clients for years. We have experienced attorneys and expert staff who will go all out to represent you for maximum damages. Call the team at Krasney Law for a free initial consultation. We will charge you nothing for an initial consultation, and we may arrange payment on a contingency basis. That is, we don’t get paid unless you get paid by either accepting a settlement or we go to trial and win your case.